Reversible and hand-washable, these handmade bags are perfect for any project. The handy handle loops through a metal ring to keep your goodies safe and sound inside, and the flat bottom makes it easy to set your bag next to you as you knit or crochet from it. 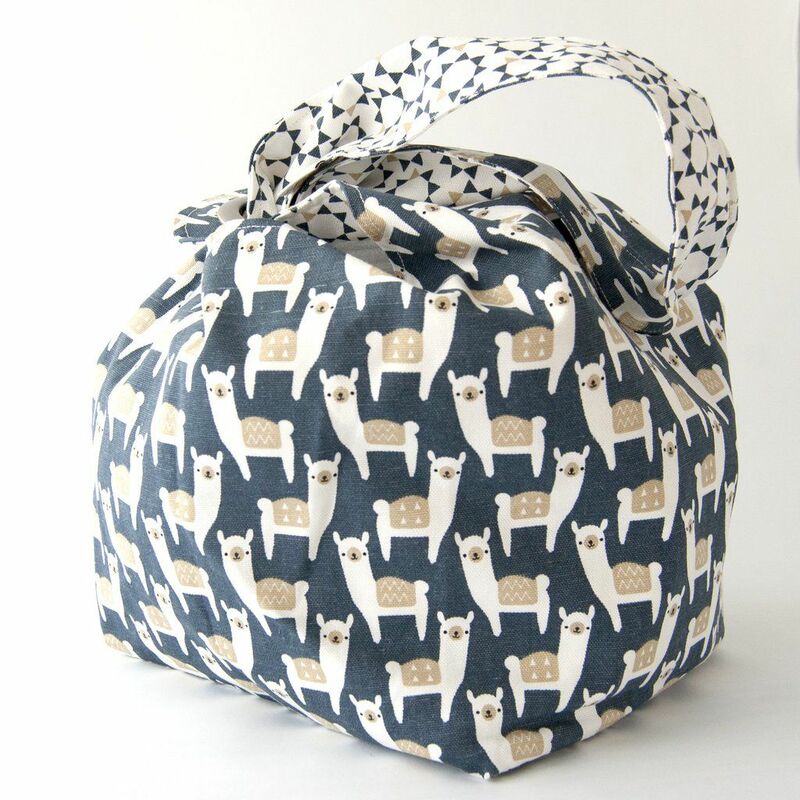 Available in a multitude of adorable designs, Binkwaffle Dumpling bags are made in the USA by women from sturdy 100% USA sourced cotton twill. The Large Dumpling Bag is approx. 9" x 9" x 21". It holds a larger project like a sweater or throw. 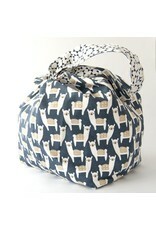 Or toss two or three Small Dumpling Bags into the Large to keep everything contained!